For almost a year now I’ve posted a #WeeklyGasUpdate every Wednesday on my Facebook and Twitter. I note the difference in people’s reaction to the prices. A decrease rarely gets a comment/response, but when there’s an increase then people get all pissed and start cursing Petrojam and the government. I’ve been asked if I work with Petrojam, the answer is NO! But I figure if they’re not doing the public education that needs to take place, I’ll fill that gap in my own little way. Petrojam is a limited liability company; jointly owned by PDVCaribe, a subsidiary of Petróleos de Venezuela (PDVSA) and the Petroleum Corporation of Jamaica (PCJ). The PCJ is a statutory body created and wholly owned by the Government of Jamaica. The General Manager is responsible for daily management of Jamaica’s only petroleum refinery; however the ultimate internal authority is the Board of Directors. The Board is comprised of an equal number of Venezuelan and Jamaican Directors. Petrojam was established in 1982 when the Government of Jamaica purchased the Esso Kingston Refinery, which had been built, and operated by Esso since March 1964. In 2006 the Government of Jamaica sold 49% of its shares to PDVCaribe. What Causes High Oil Prices? Like most of the things we buy, oil prices are affected by supply and demand. More demand, drives higher prices. Demand ebbs and flows depending on time of year and the various consumption habits of the public. However, oil prices are also affected by “oil price futures”, which are traded on the commodities exchange. 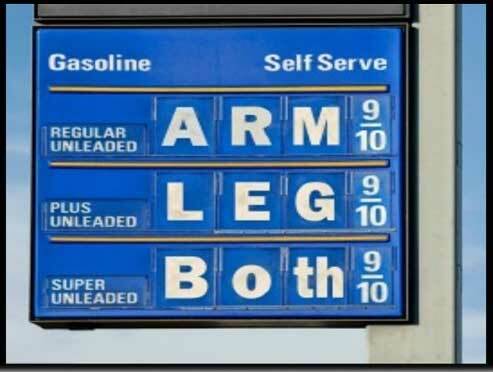 These prices fluctuate daily, depending on what investors think the price of oil will be going forward. The Organization of the Petroleum Exporting Countries (OPEC) is a cartel of twelve developing countries made up of Algeria, Angola, Ecuador,Iran, Iraq, Kuwait, Libya, Nigeria, Qatar, Saudi Arabia, the United Arab Emirates, and Venezuela. OPEC produces 46% of the world’s oil. In 1960, they formed an alliance to regulate the supply, and to some extent, the price of oil. These countries realized they had a non-renewable resource. If they competed with each other, the price of oil would be so low that they would run out sooner than if oil prices were higher. OPEC’s goal is to keep the price of oil at around $70 per barrel (that’s only a goal). A higher price gives other countries the incentive to drill new fields which are too expensive to open when prices are low. Non-OPEC countries include USA, Canada, Russia, China, Norway, Brazil and others. What Affects Oil Price Futures? Oil futures, or futures contracts, are agreements to buy or sell oil at a specific date in the future at a specific price. Traders in oil futures bid on the price of oil based on what they think oil will trade at. They look at projected supply and demand to determine the price. However, if traders think the price of oil will be high, they create a self-fulfilling prophecy by bidding up oil prices. This can create high oil prices even when there is plenty of supply on hand. Once this starts, other investors will bid on oil prices just like any other commodity, such as gold, creating an “asset bubble. Crude oil generally accounts for 55% of the price of gasoline, while distribution and taxes influence the remaining 45%. Usually, distribution and taxes are stable, so that the change in the price of gasoline accurately reflects oil price fluctuations. Gas prices are also affected when production lines are disrupted or are down for maintenance, or when there’s a war or civil unrest or when major natural disasters occur. Petrojam buys crude oil then sells refined gasoline to Marketing Companies like Shell, Texaco, Esso, Total, Epping and others. These companies add their respective mark-ups based on various factors, I don’t know what those are, but I figure it includes the costs to distribute the gasoline to the various gas stations from which we buy. Additionally, Jamaicans pay 15% of the value of gasoline as an ad valorem tax, in addition to a specific tax of $16 per litre. These gas stations are usually a part of the Jamaica Gasoline Retailers Association. Each individual gas station has its own sets of overheads and that determines what you pay at the pumps. Remember, oil is traded daily. Petrojam does weekly updates of its prices based on how the price of crude is determined by oil price futures and OPEC. Venezuela, with whom Jamaica has an agreement, is a part of OPEC. JGRA members and other gas retailers purchase from Marketing Companies or directly from Petrojam then add their respective mark-ups. What we need to do is monitor the price updates from Petrojam and STOP SUPPORTING GAS STATIONS THAT ONLY INCREASE THEIR PRICES. We need to be more efficient in our use of the commodity – CONSERVE! Retweet or share your facebook if this has been useful. Garth good article what we could do is to ask people to send in the name of gas stations in their town and or region on a weekly basis and create a list and publish it. My gas stations always reflect what increases/decreases are announced. informative! Thanks for writing this. If only Jamaica would invest more in renewable energy.